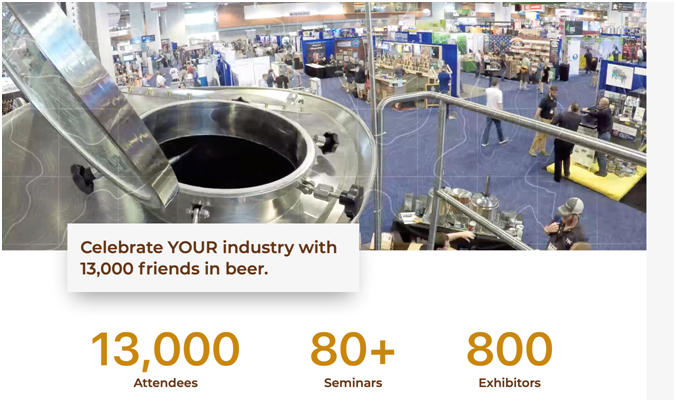 Epson Partners with iD Products to Showcase Label Solutions at Craft Brewers Conference and BrewExpo America | Industry Analysts, Inc.
LONG BEACH, Calif. – March 14, 2019 – Epson today announced it is partnering with iD Products, an Epson Advantage Platinum ProFocus Partner, to showcase ColorWorks® on-demand desktop inkjet label printers at the Craft Brewers Conference and BrewExpo America. During the show, iD Products will take attendees through the process of identifying, testing and setting up a system to produce high-quality labels on demand, as well as print personalized examples for attendees onsite. Tuesday, April 9 – 9 a.m. to 5 p.m.
Wednesday, April 10 – 9 a.m. to 5 p.m.
Thursday, April 11 – 9 a.m. to 3 p.m.
1 Printing in full 1200 x 600 resolution with flush-onto-paper mode enabled. With flush-onto-paper mode disabled, print speed is up to 10.4″ per second. 2 When printing 2.2-inches (56mm) width bidirectional mode, with banding reduction disabled in 360×360 dpi resolution. EPSON and ColorWorks are registered trademarks and EPSON Exceed Your Vision is a registered logomark of Seiko Epson Corporation. All other product and brand names are trademarks and/or registered trademarks of their respective companies. Epson disclaims any and all rights in these marks. Copyright 2019 Epson America, Inc. This entry was posted in Epson and tagged BrewExpo, Craft Brewers Conference, Epson, iD Products, Label Solutions by IA Staff. Bookmark the permalink. ← Previous Previous post: Want to Keep Digital Equipment Functioning Properly While Reducing Service, Parts & Equipment Replacement Costs? It’s Simple. Get ESP! Next → Next post: Are You Ready for the Largest IT Upgrade Opportunity in 20 Years?